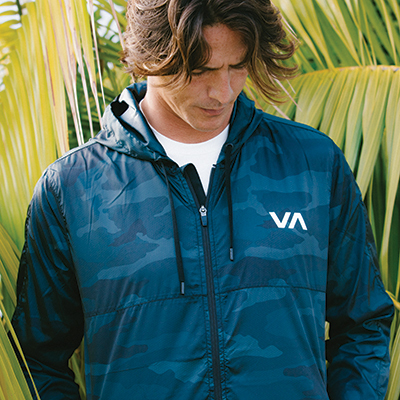 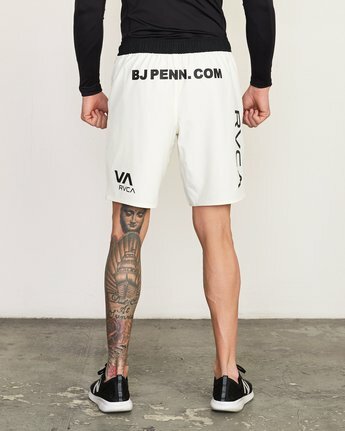 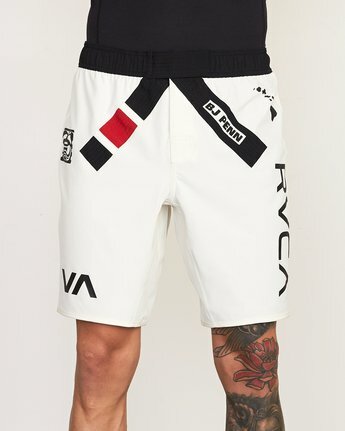 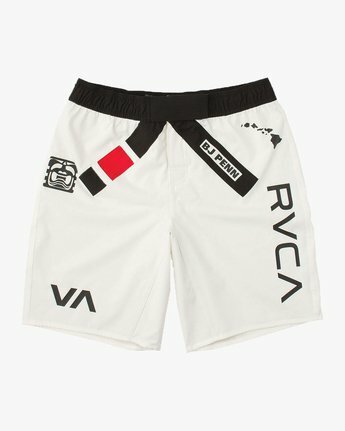 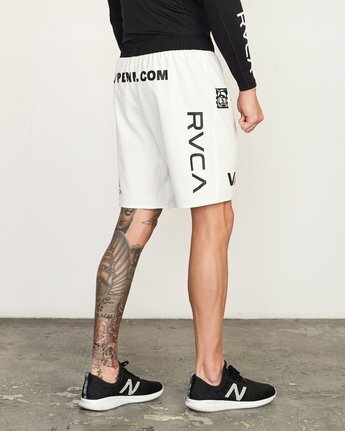 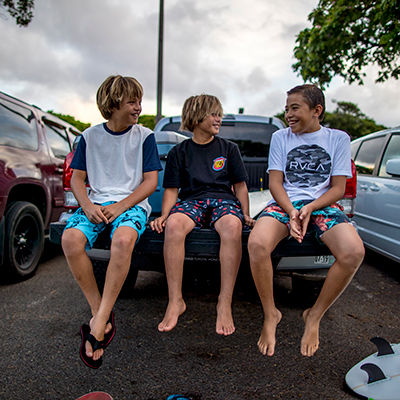 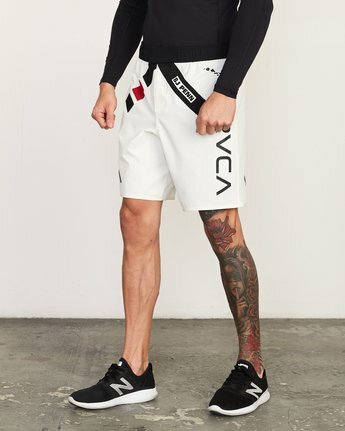 With an mixed martial arts inspired design, the RVCA BJ Legend Short delivers superior function with lightweight, 4-way stretch fabric, infused with moisture-wicking, fast-drying and anti-microbial properties. 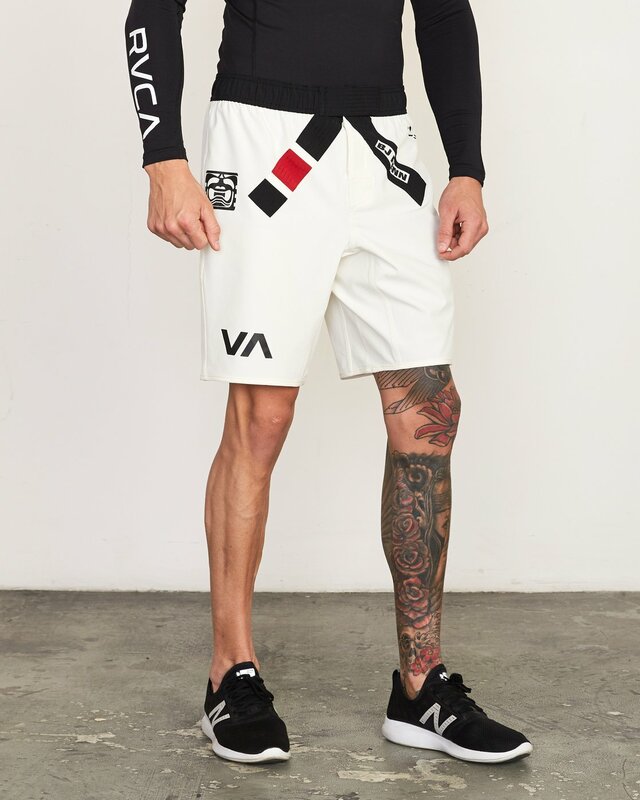 A VA Sport Collection standout, the mens training short features an MMA-complaint waistband and a black belt applique, balanced with RVCA and VA screen prints. 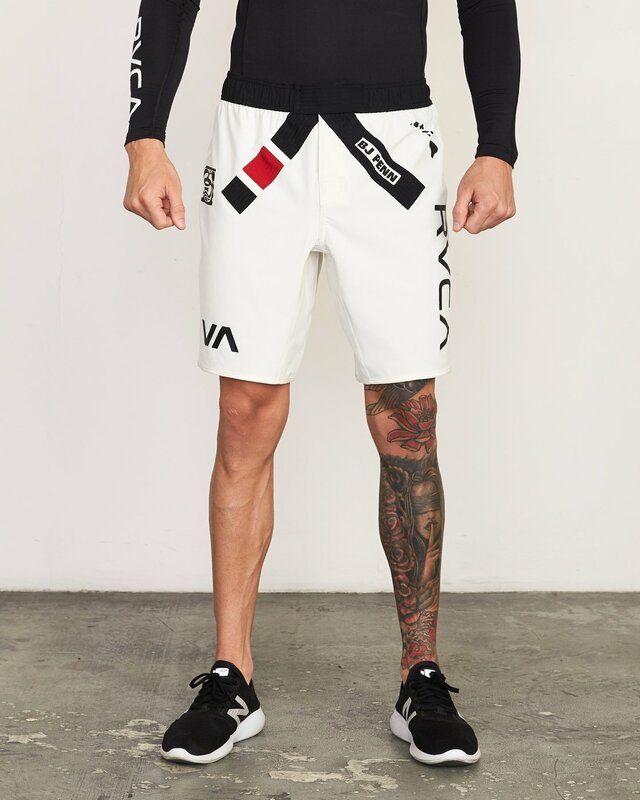 Technical details include lycra panels at the inner legs and hook and loop closure at fly and waistband. 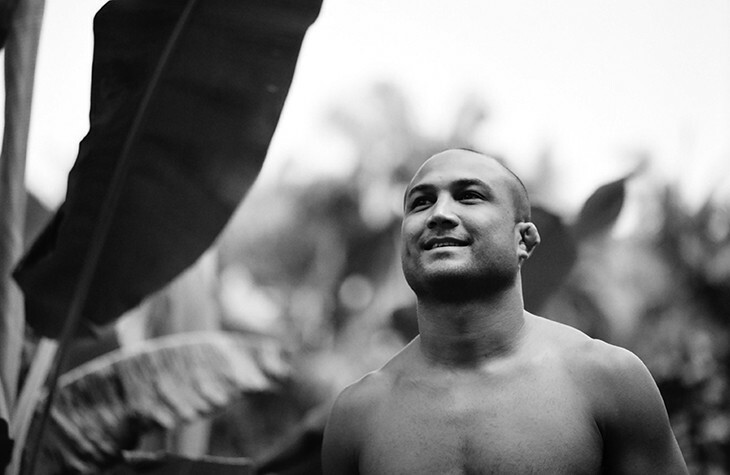 They are a limited edition re-issue based on BJ Penn's original MMA shorts.